Come and discover our beautiful amazing country! We have been showing our guests around South Africa since 1998. Our company is small and therefore we are able to look after every aspect of every tour that we offer. More personal attention will be hard to find! Designing amazing itineraries according to your specifications. Offering the best quotations, adjusting it until you are 100% happy. Sourcing the best accommodation that suits you and your family or friends. Suggesting sights to visit on your chosen route. Organising car rental on self-drive tours. 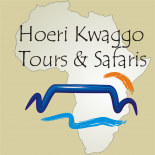 Offering guides with a micro bus to take you on your private tour. Once a tour commences, checking daily to make sure that every little detail related to that tour is perfect.